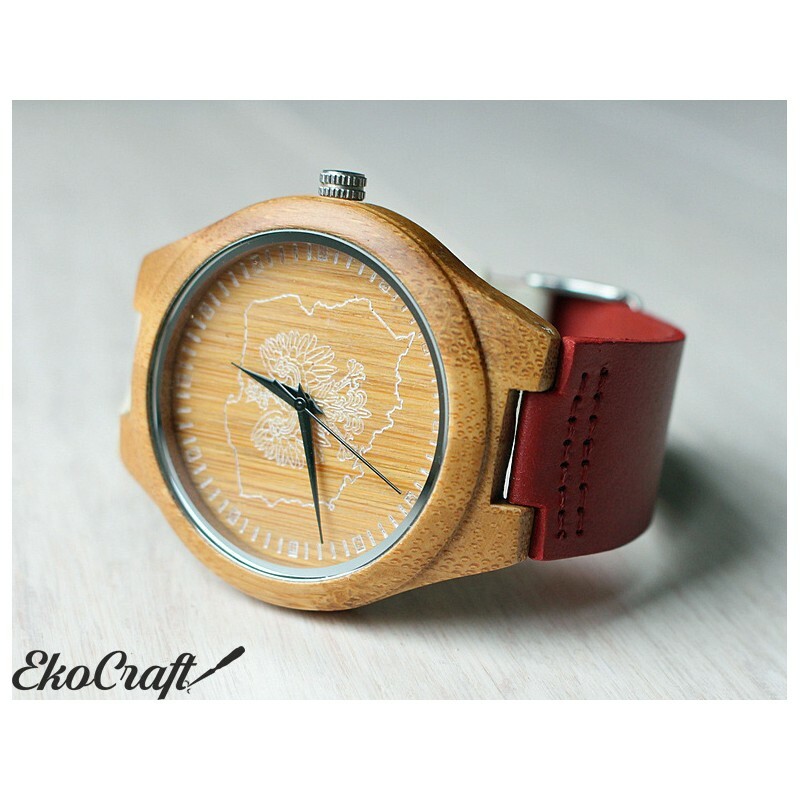 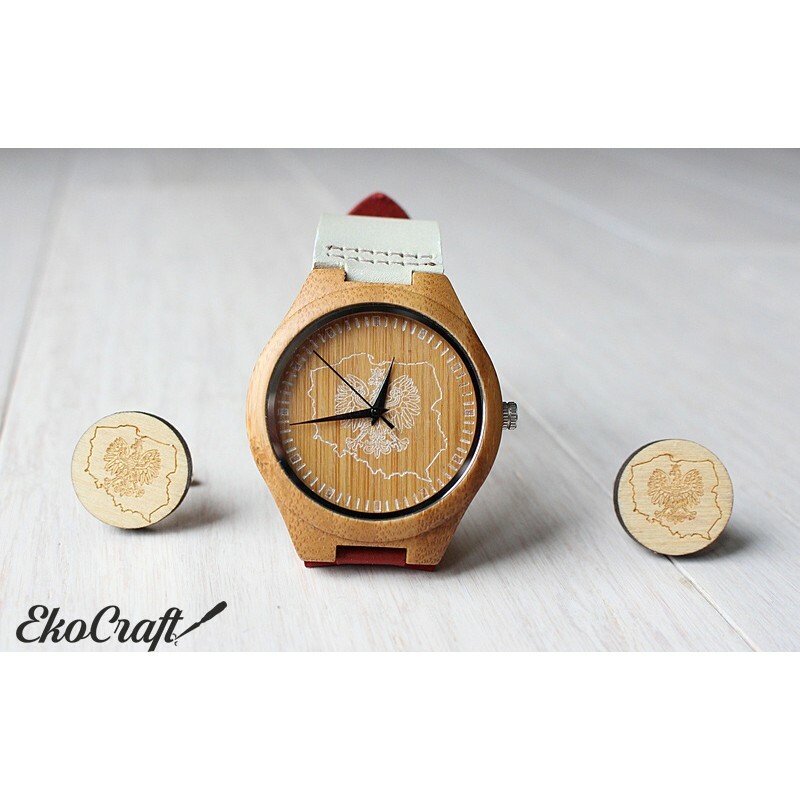 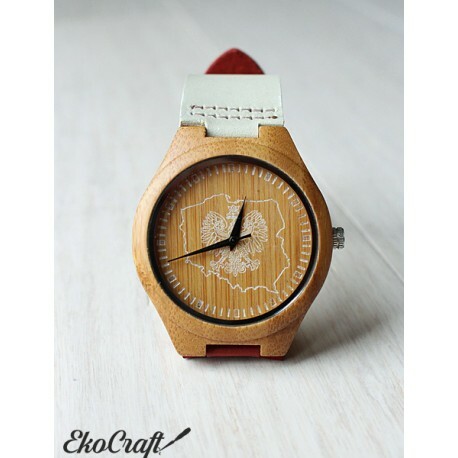 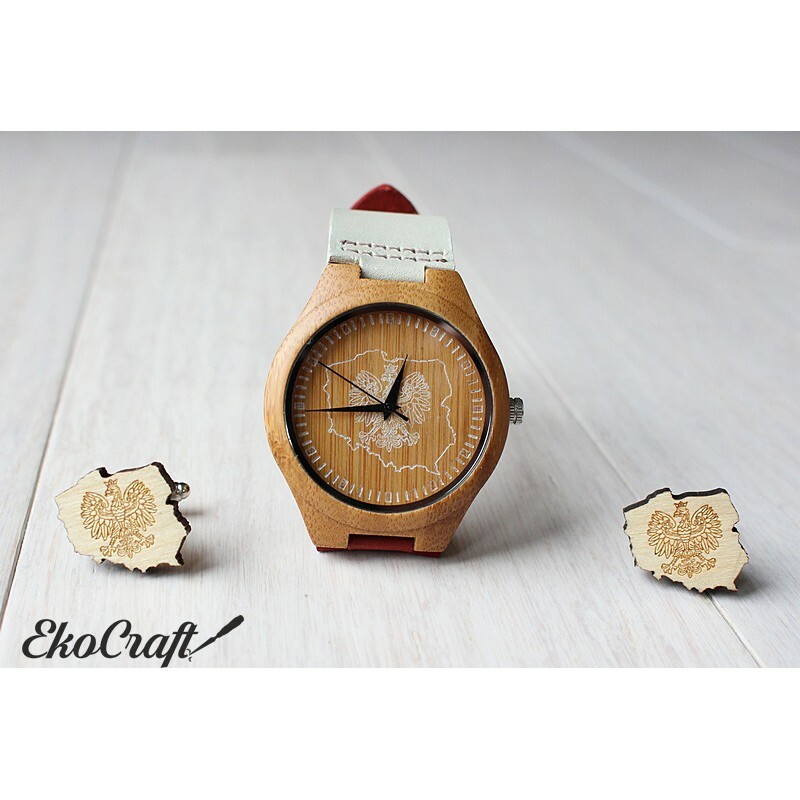 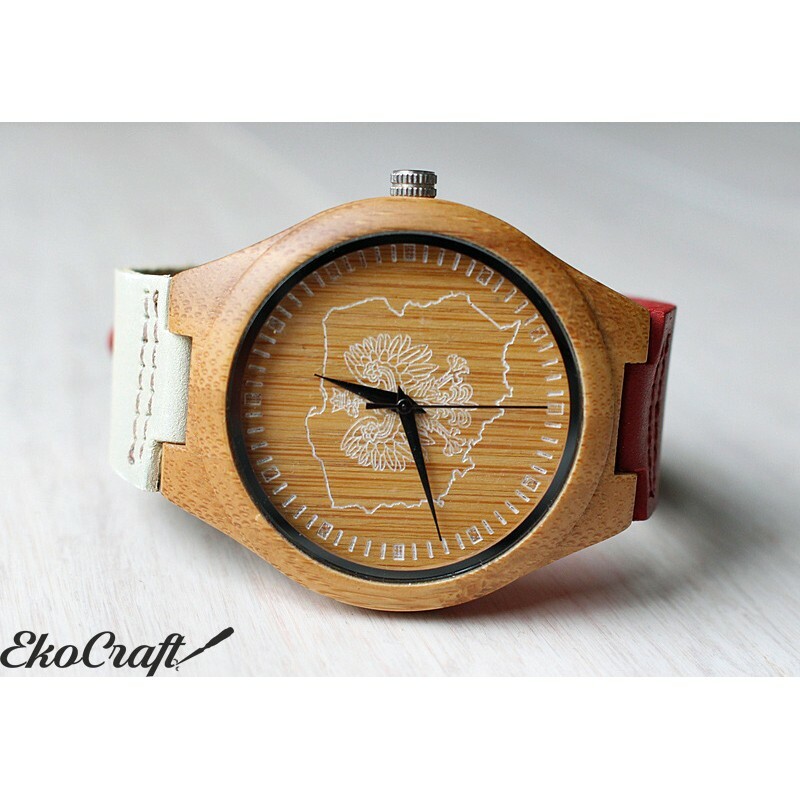 High quality bamboo, polish patriotic wooden watch with Japan quartz movement. 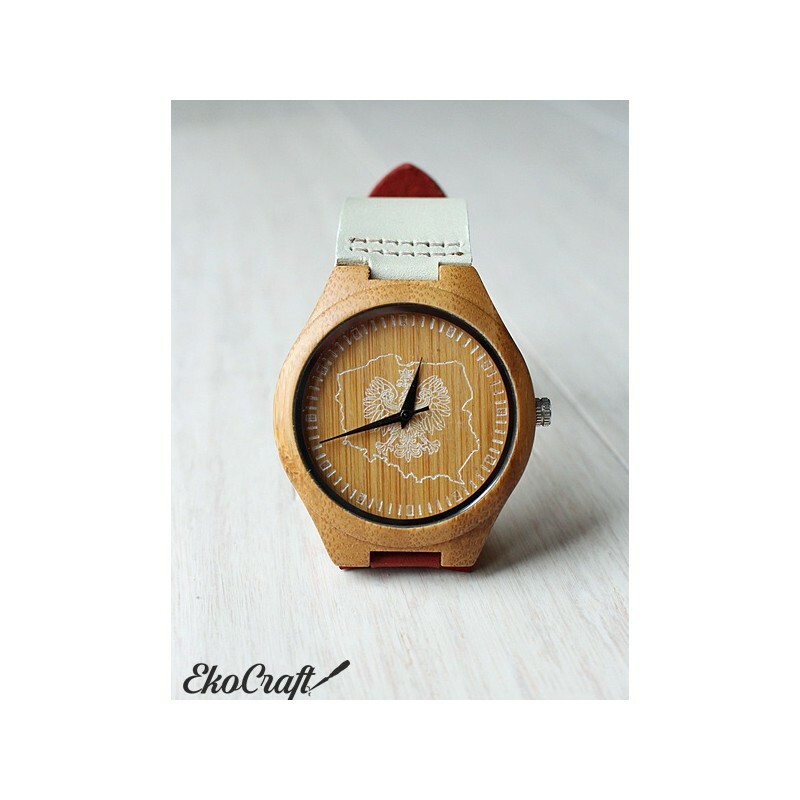 Diameter of the watch face 4,4cm (about 1.7 inches ). 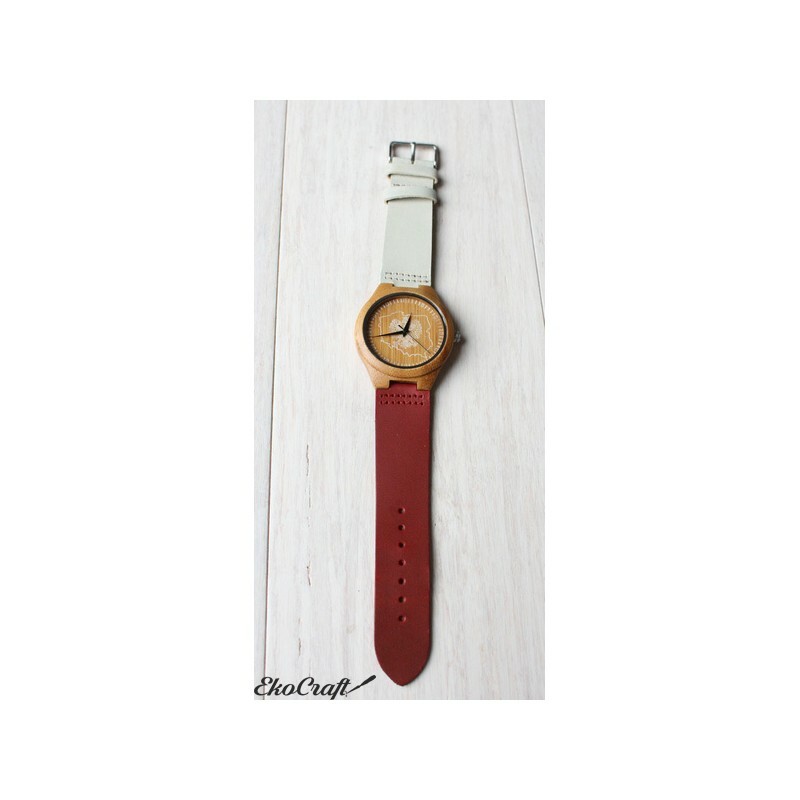 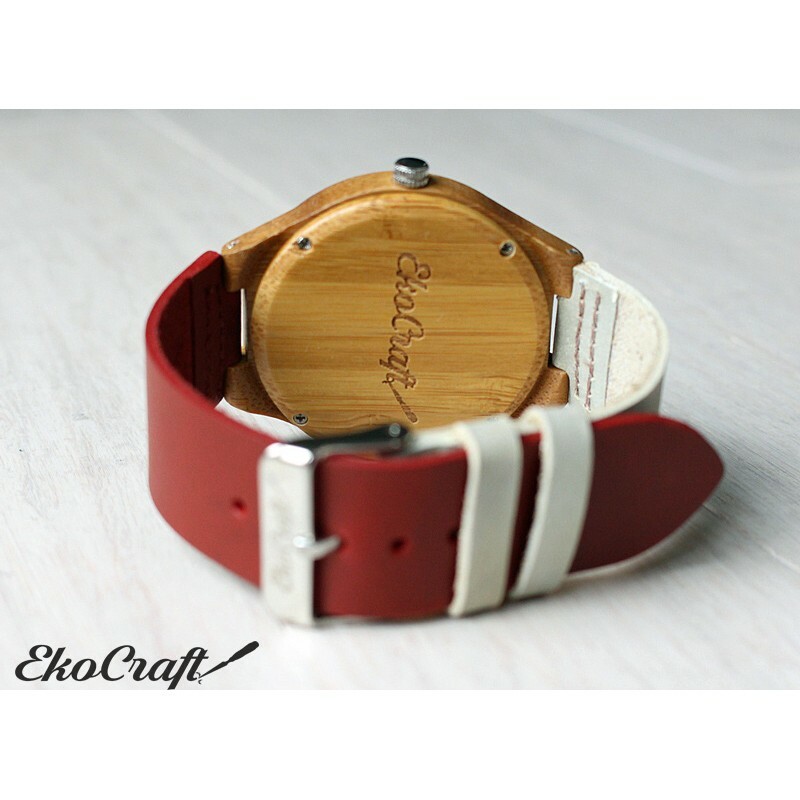 The watch strap (24cm long) is made of genuine red colored leather.